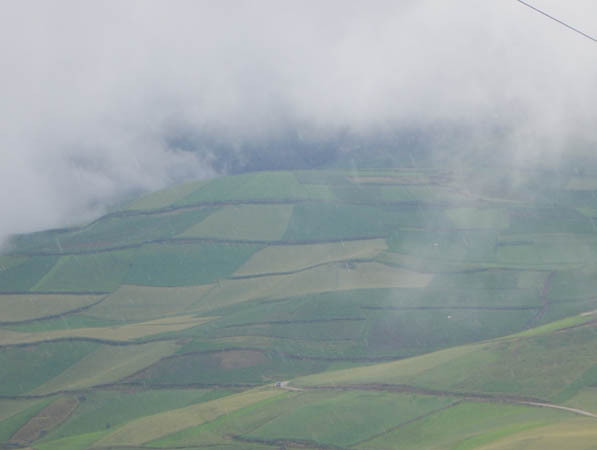 It was the last country on our tour, but equally as exciting as the rest. 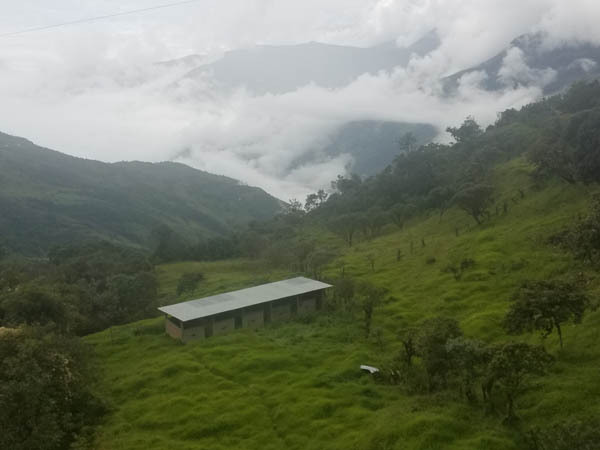 From sea level in the Galapagos to the peaks of the Andes, Ecuador was another fascinating country filled with tons of fun things to see and do. 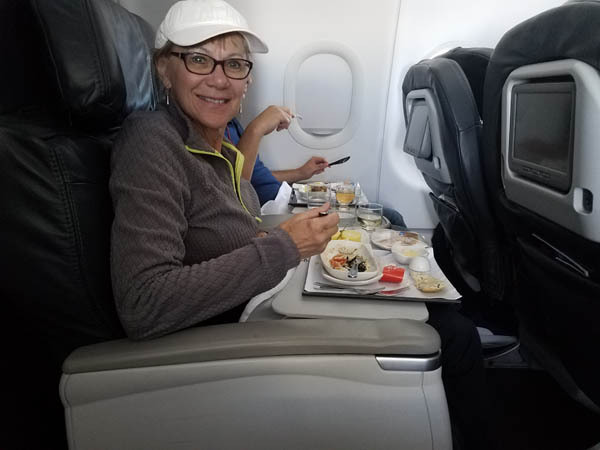 We were on 19 airplanes during our ten-week travels throughout South America and this was our first and only trip in First Class. They treated us very well! 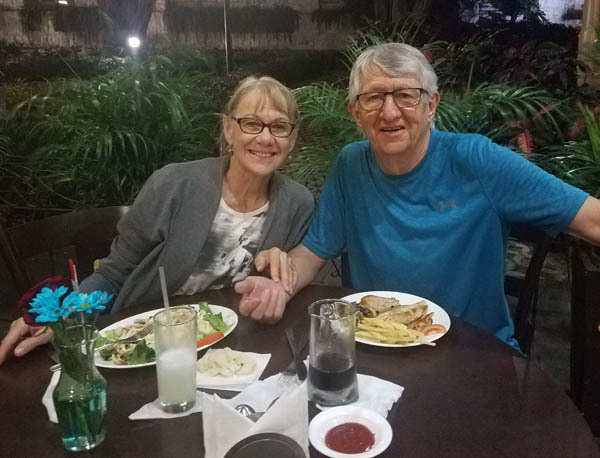 We arrived in Guayaquil, Ecuador in time to celebrate Mother's Day. 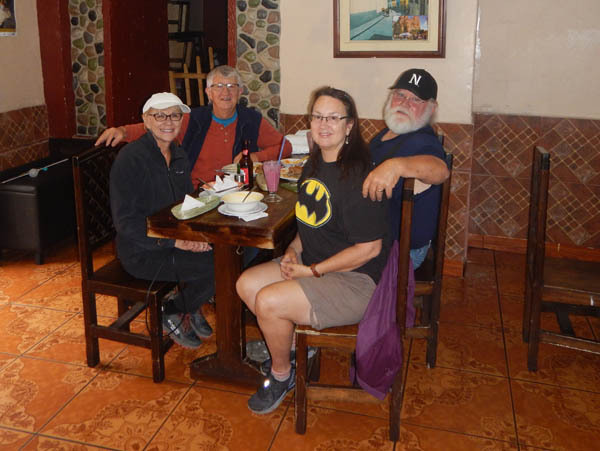 As we walked along Malecon 2000, one of its top attraction, we found this cool restaurant filled with families spending time with their mothers. 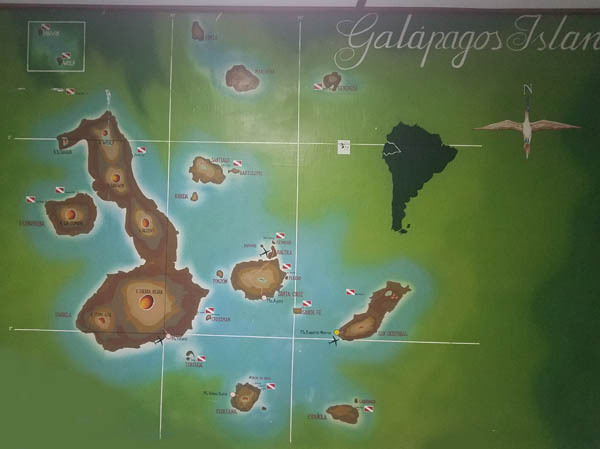 Our next stop was the Galapagos Islands, Ecuador. Lying on the equator, this is where Charles Darwin created his theory of evaluation as he traveled the world on the famous HMS Beagle. 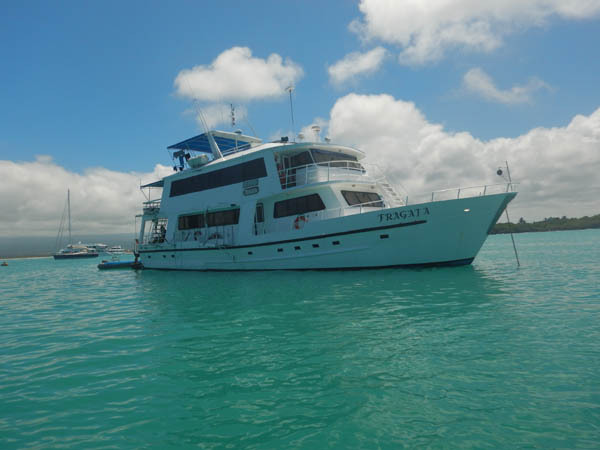 Our ship was this 16-passenger yacht called the Fragata where we would spend four days sailing between four of the 21 islands. In addition, we had eight crew members that took very good care of us. 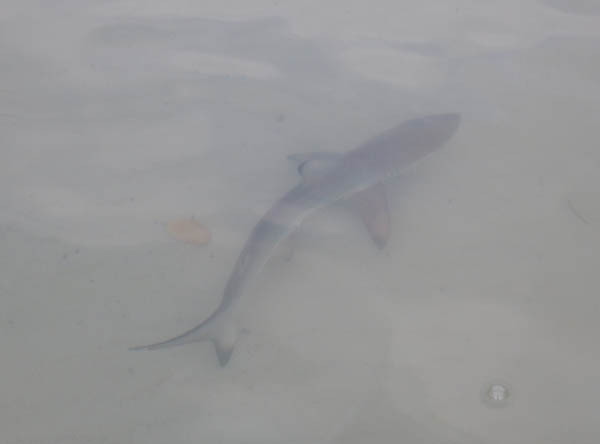 Our first day was spent swimming in Tortuga Bay on Santa Cruz Island and we ended up swimming with these baby sharks. Click to view. 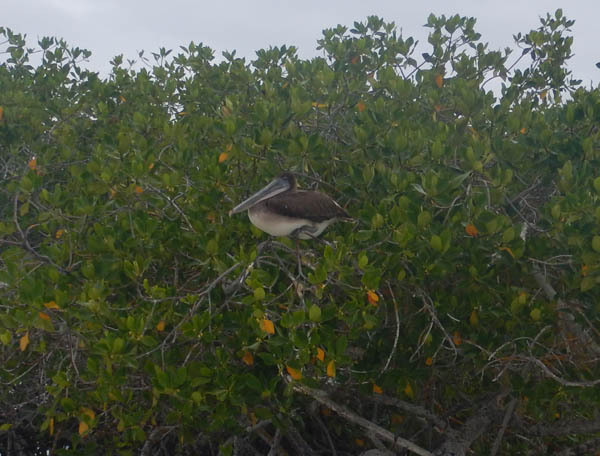 We found this Brown Pelican nesting in the Mangrove trees that is said to be an endemic subspecies that exists on the Galapagos. 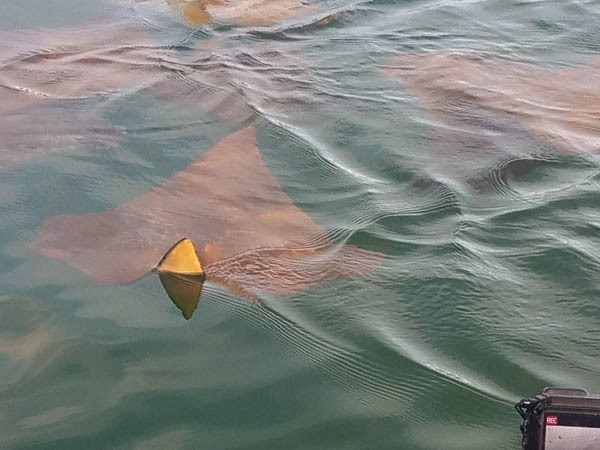 They are awesome gliders and are fun to watch diving for fish. 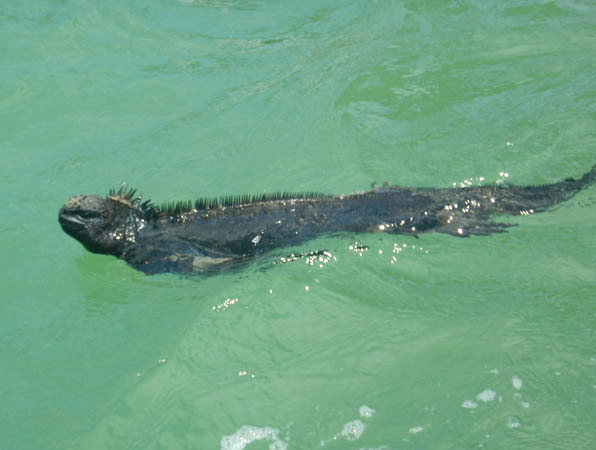 This is a marine iguana, the only iguana in the world that swims and only found here in the Galapagos. They eat algae and also love to lay on the beach. 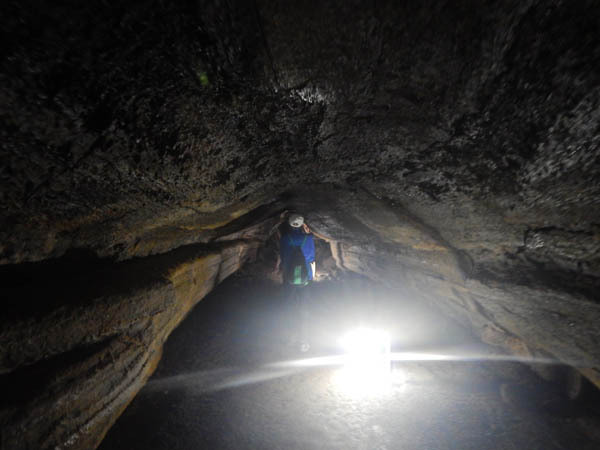 The Galapagos Islands were formed by both tectonic plates and a series of volcanic eruptions, leaving behind this lava cave for us to explore. Once nearly extinct, the Giant Tortoises have made a great recovery thanks to the Charles Darwin Center and funding from environmental groups. 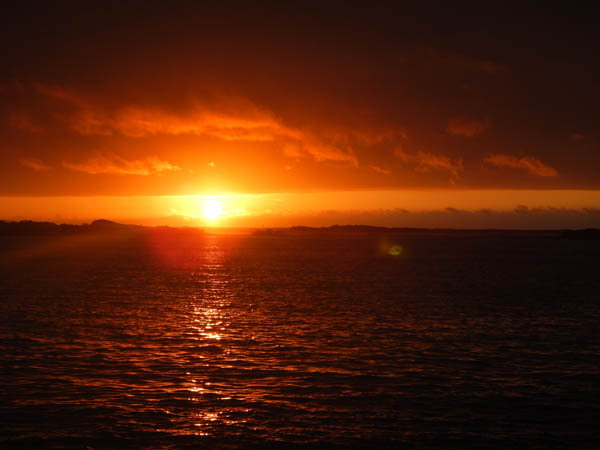 Our excursions started early in the morning, so early in fact that we got to watch this sunrise. All the meal served onboard were delicious. After a great breakfast, we rode in a zodiac from the yacht to our next adventure. 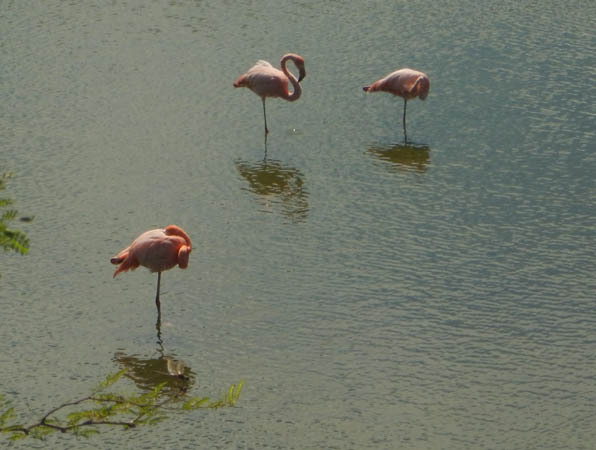 The Galapagos Flamingo have the most brilliant pink color, with some getting as tall as six feet. 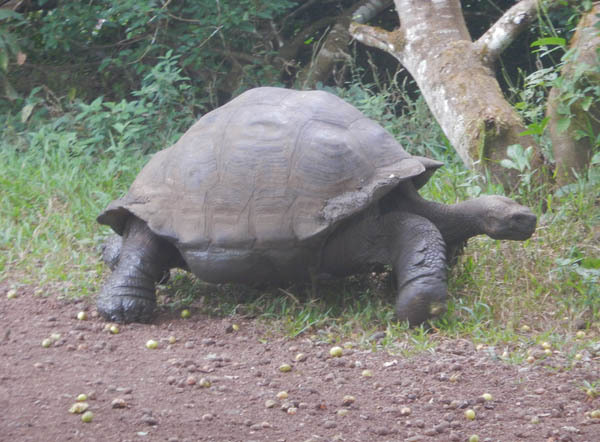 With the introduction of rats, pigs and dogs to the island, along with poachers, Giant Tortoises were nearly extinct. The island created several breeding centers that care for them until they are two years old. 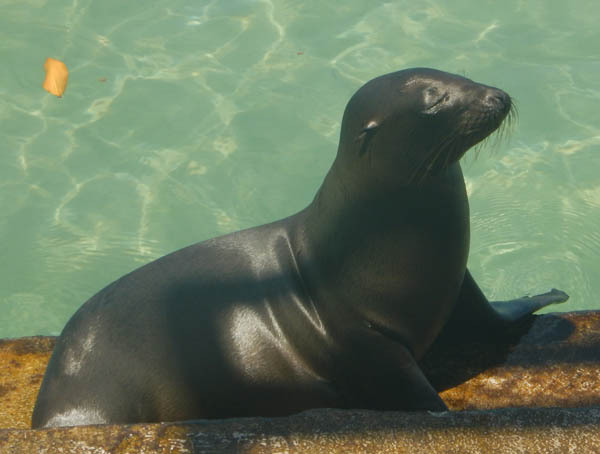 These Sea Lions can be seen throughout the islands. They are playful and inquisitive creatures. They differ from seals, because of their external ears and rear flipper. 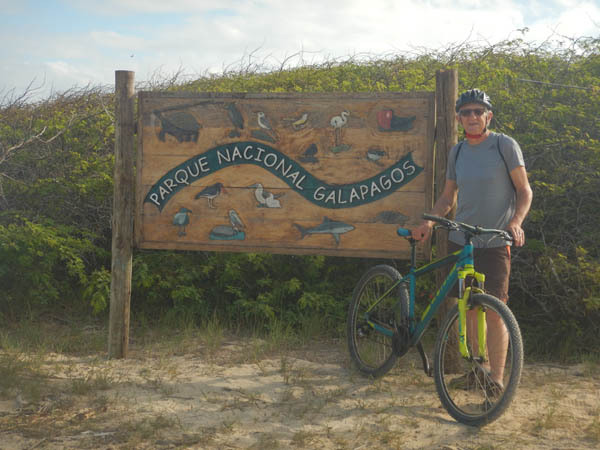 While our ship mates hung out in bars and on the beach one day, we rented bikes and toured the island. 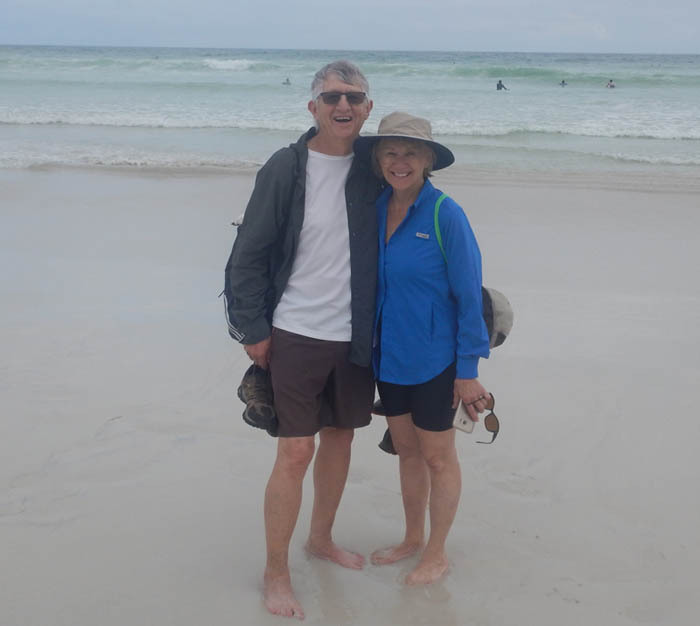 We had two opportunities to going snorkeling. Here Glorine is floating and taking in the awesome views. 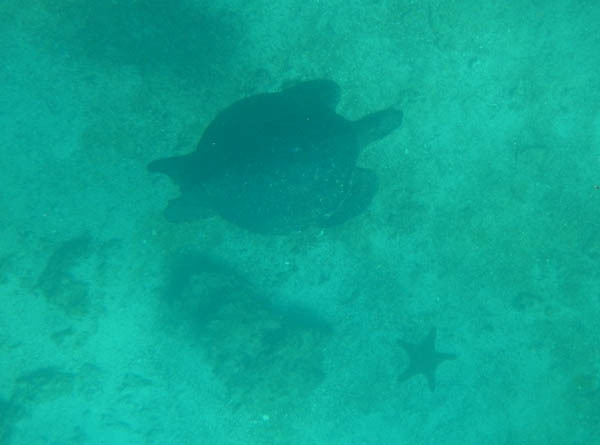 We got closeup and personal with a couple of Sea Turtles. Click to watch them swim. 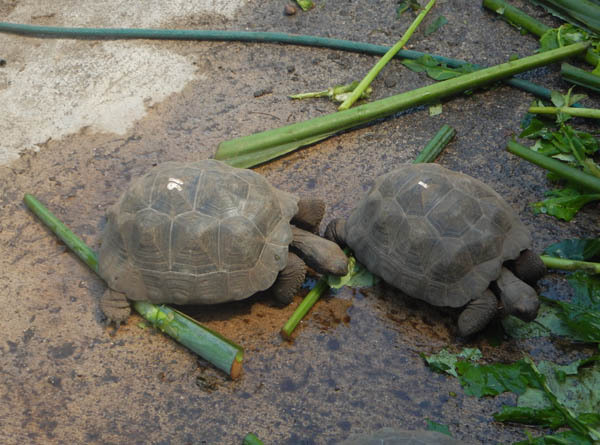 Sea Turtles live in the water, while tortoise live on land. 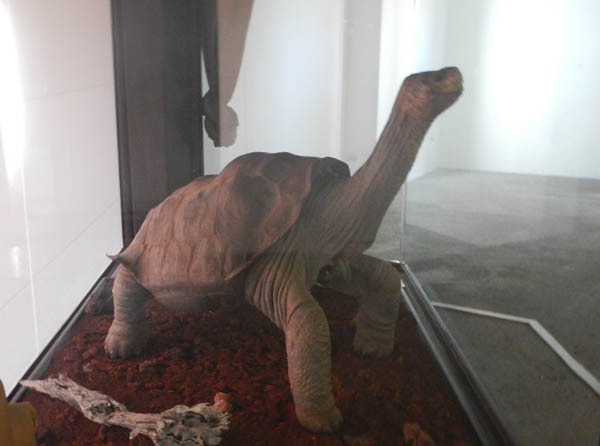 With the demise of Lonesome George, pictured here, four species of Giant Tortoises are now extinct. 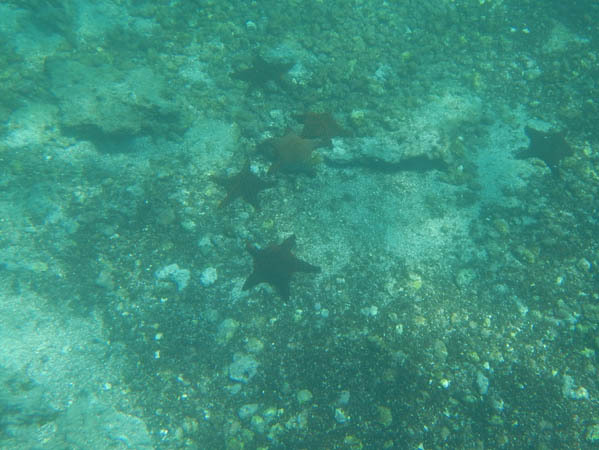 Starfish were abundant on this particular snorkeling excursion. 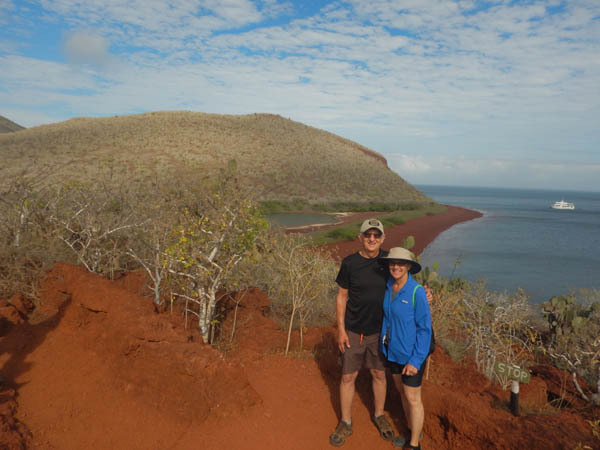 We stopped to pose for this picture as we hiked on Isabel, the largest island on the Galapagos Islands. The equator runs along the north end of this island. 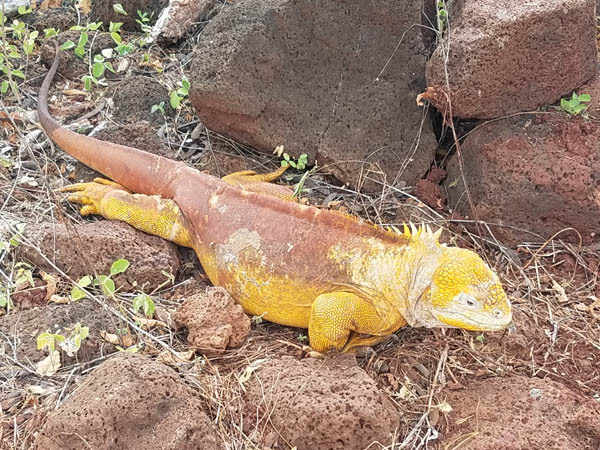 This yellow land iguana is one of three remaining species on the Galapagos. They get up to three feet long and can live up to 55 years. On one excursion in a lagoon, we found this school of Golden Ray. Click to watch them swim. 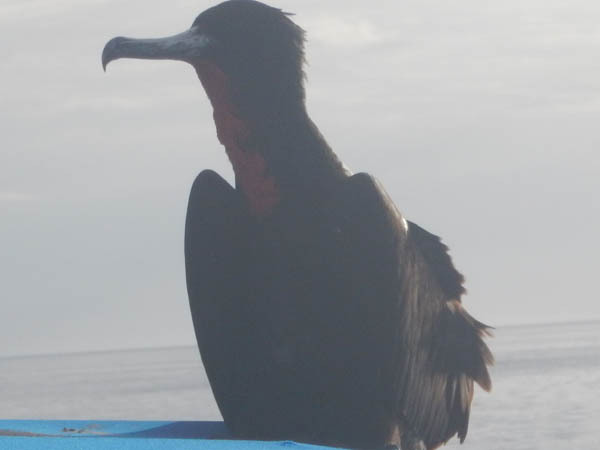 One morning, we caught this Frigate bird resting on the top of our ship (the Frigata). There are two species, the Magnificent Frigate and the Great Frigate, both black with a red inflatable throat. 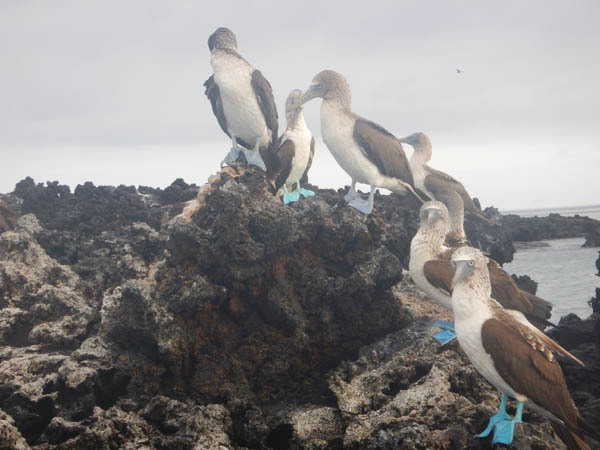 On our final excursion on the Galapagos, we were treated to dozens of Blue Footed Boobies, waiting here to have their picture taken. 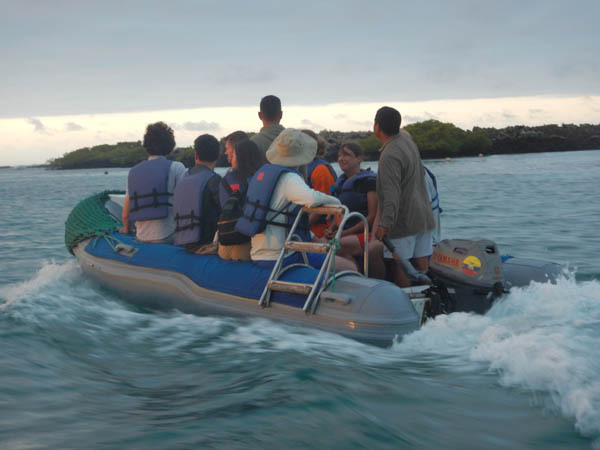 While not unique to the Galapagos, they capped a wonderful experience here. 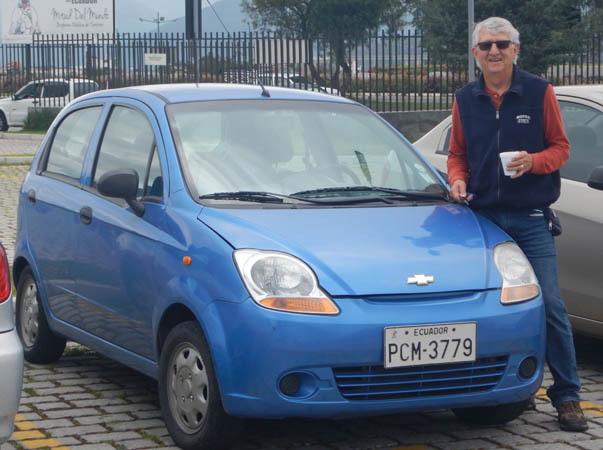 When we got back to the mainland, we rented this Chevy Spark. While small, it was exactly what we needed to explore the country. 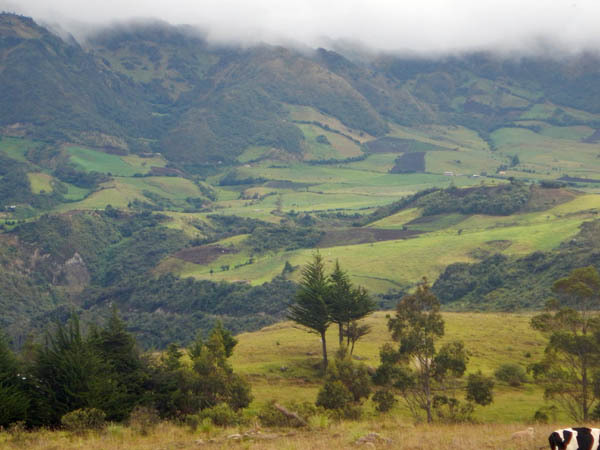 As we drove from sea level up into the Andes, we found lush mountains and valleys. 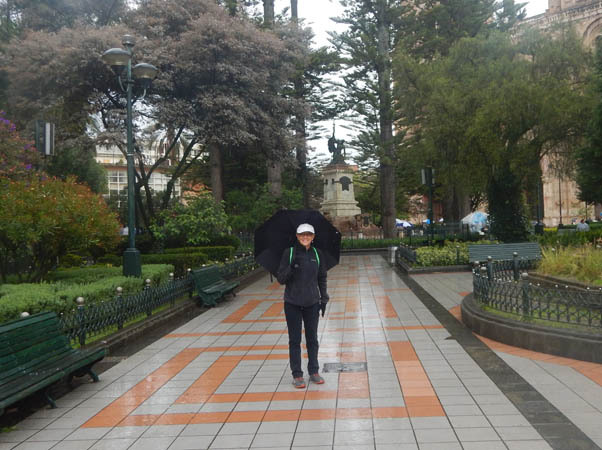 On this day, it was mostly cloudy with periods of rain. 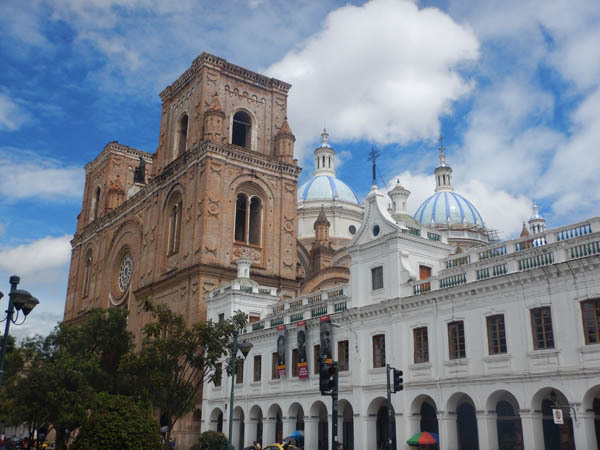 Our first stop was Cuenca, Ecuador's third largest city and arguably one of the most beautiful. 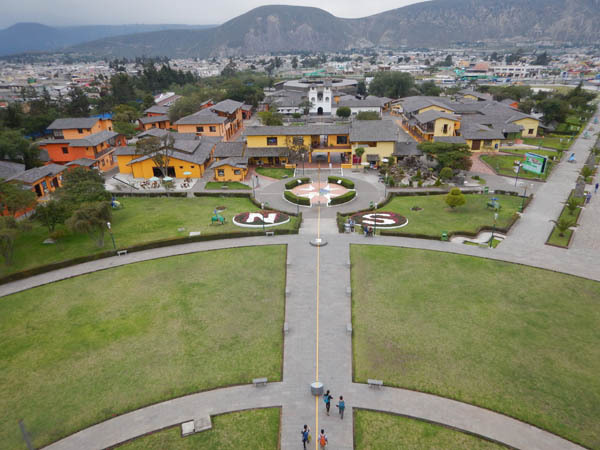 It is billed as the most European looking city in Ecuador, due to its 16th century Spanish architecture. Four rivers flow through this city of 40,000 which includes lots of bridges needed to get around. 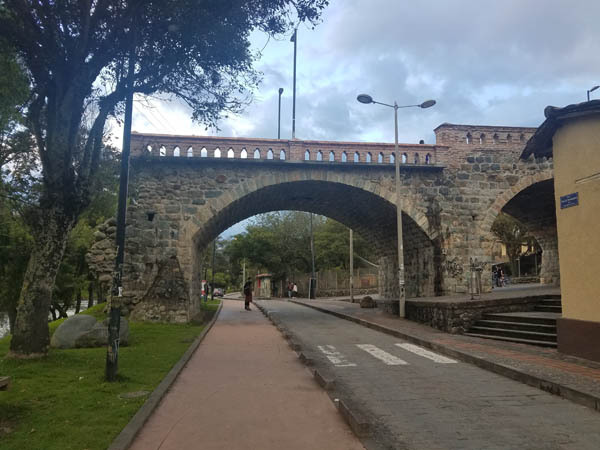 In the middle of the city, is a 500 year-old plaza dedicated to independence hero--Abdor Calderon. 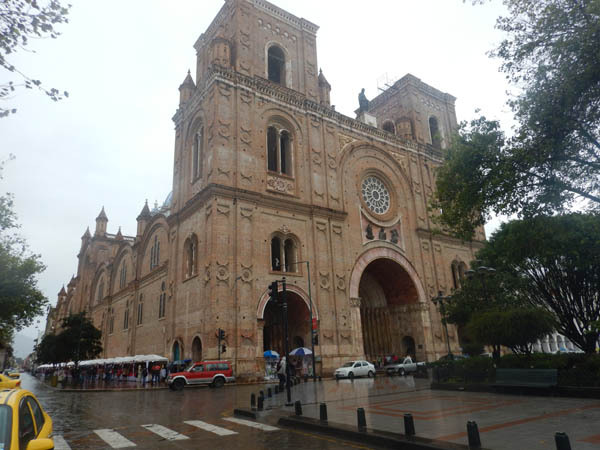 Like other Latin American countries, the Catholic churches are often the center piece of most communities, and Cuenca is no different. 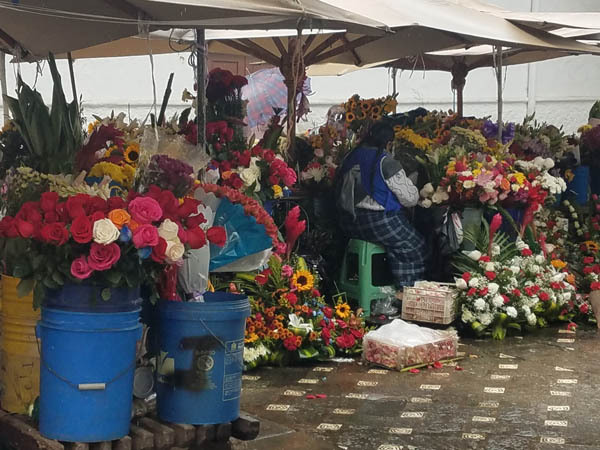 One of the unique places we saw in Cuenca was the flower market, located between two churches. The color and smell was awesome. 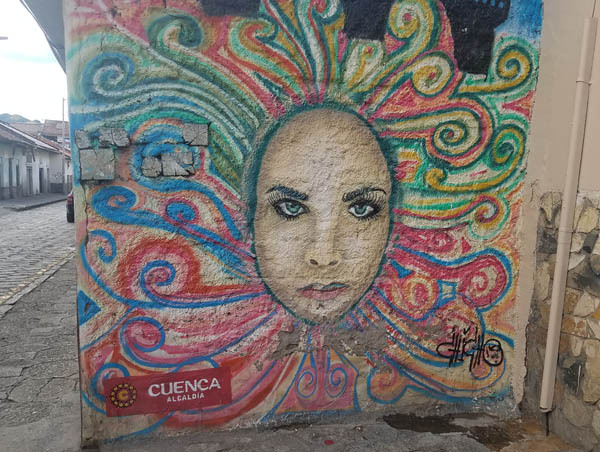 Cuenca has held true to a 400 year-old town plan authorized by King Charles V and is why UNESCO named it a World Heritage site. 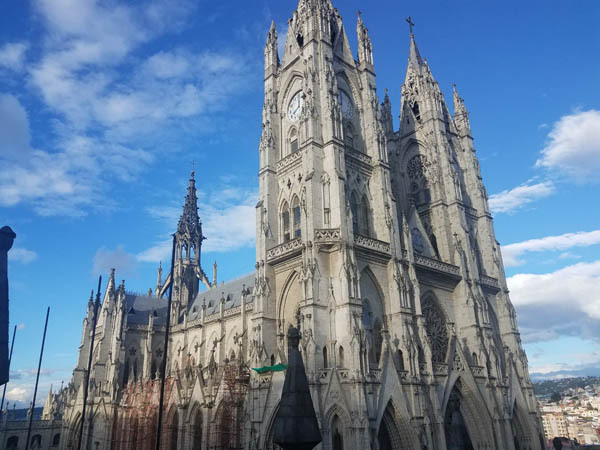 While not new, it is still called the New Cathedral built it the late 1800s. What most striking is the three blue dooms made of blue and white glazed tile. 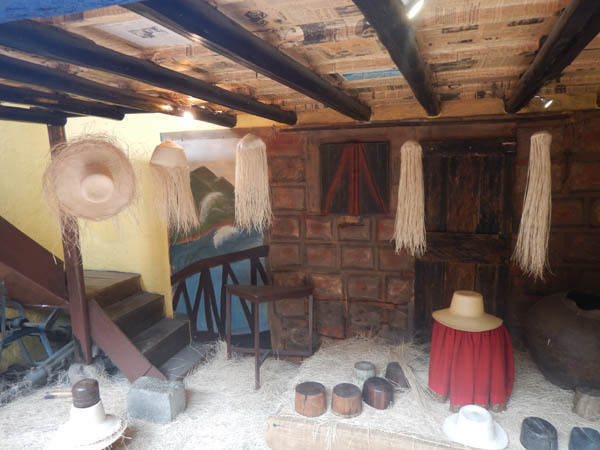 We learned Panama Hats are not made in Panama but originated here in Ecuador. We toured this museum to learn how they are weaved and pressed. 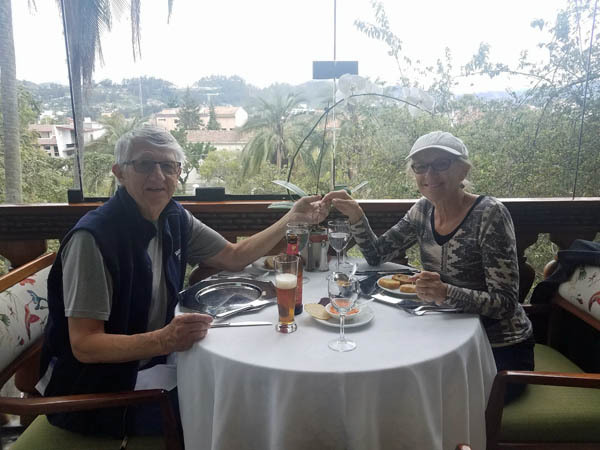 Our last day in Cuenca, we found this cool restaurant overlooking the river. 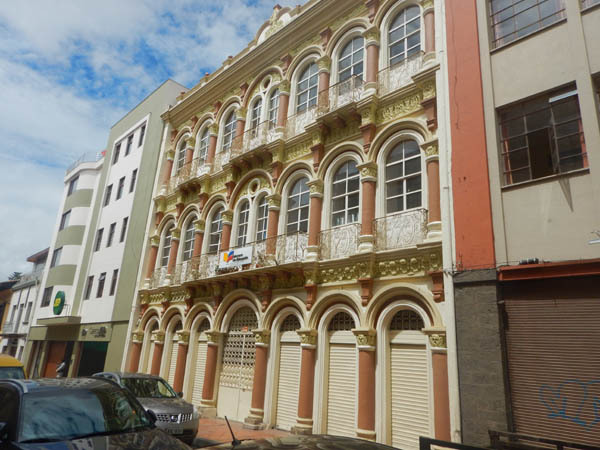 We were not surprised to know that Cuenca is the largest expat communities in SA. On the road again. We were so glad we rented a car to pull over when we wanted to capture the beauty of the country side. 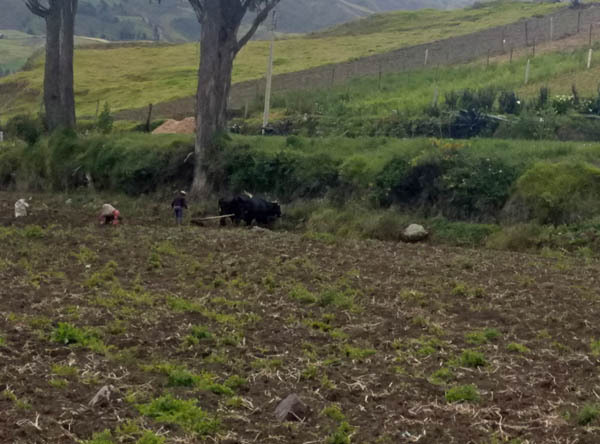 Here we watched these farmers use oxen to plow this field. It was followed by people planting seeds of some sort. 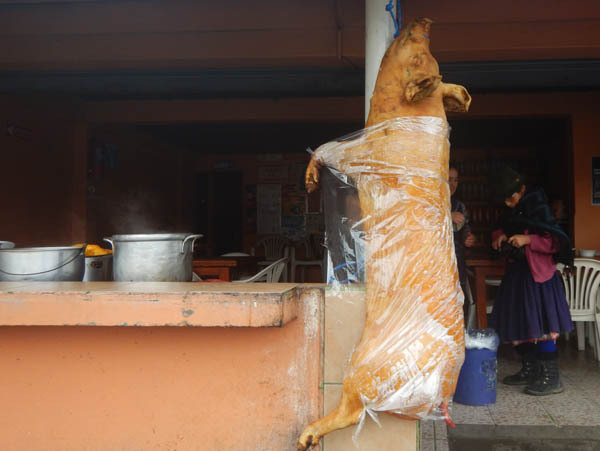 After driving past a couple of hanging pigs at local markets, we had to stop to take a picture. 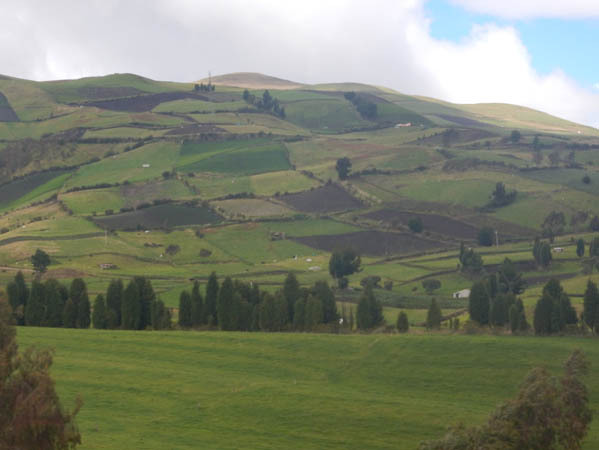 The hillsides looked like a patchwork quilt. Small fields with a variety of crops. 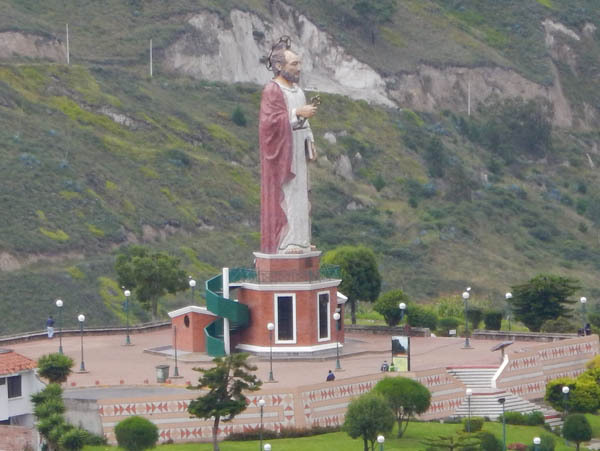 We drove through a small village of about 100 people with this huge statue of their patron saint. As we climbed higher in the mountains, we saw lots of snowcapped mountains. 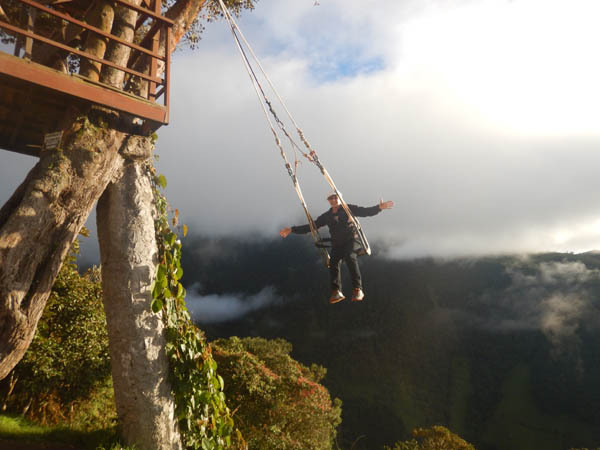 Our next destination was San Carlos de Banos and the Swing at the End of the World. After the swing, Glorine decided to try out ziplining. Click to watch what is next. 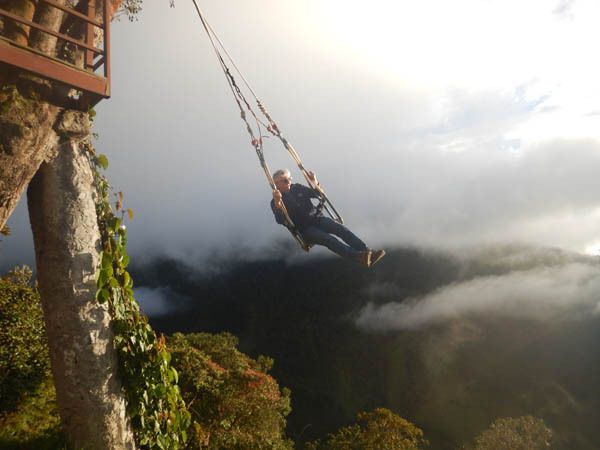 Located next to a seismic monitoring station used to observe the active volcano of Mount Tungurahua, we each took our turn swinging over a canyon that seemed to have no bottom. 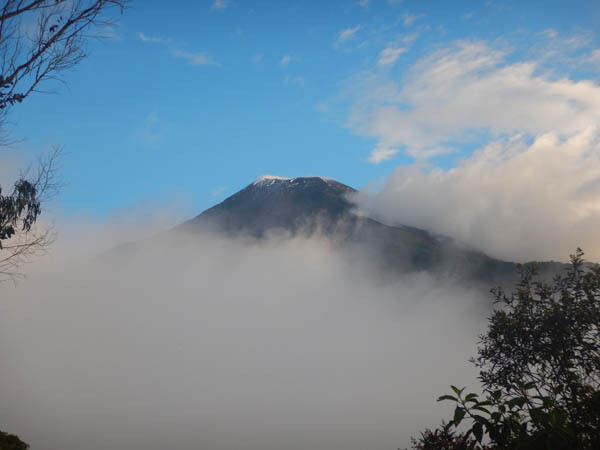 Mt Tungurahua, also known as the Throat of Fire, standing at 16,480 feet last erupted in 2014. 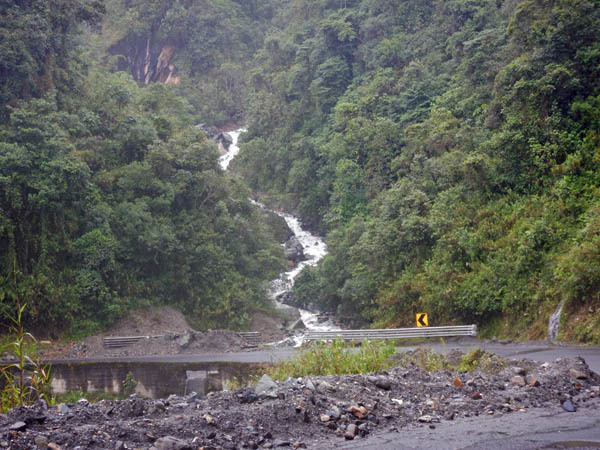 Banos is also known for its natural hot springs. Here we are taking advantage of one of their public pools, which were very HOT! 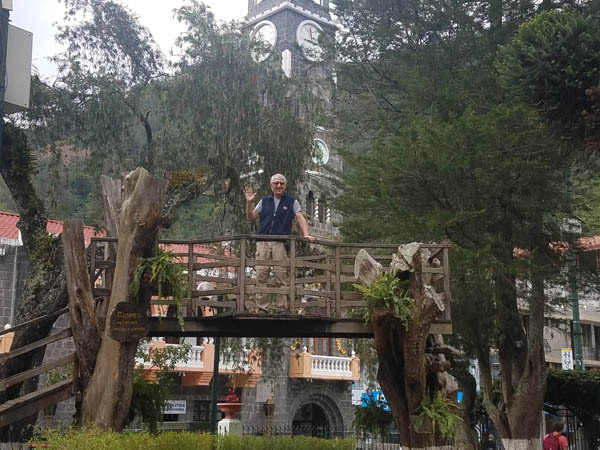 The plaza in the center of Banos had this cool bridge, which we used for pictures. 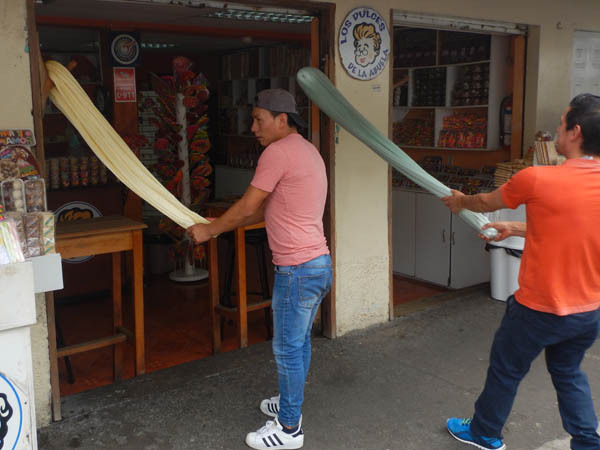 We found an interesting way of "pulling taffy." These guy were pulling it from a hook in the doorway. On the road again and more green lush farmlands. 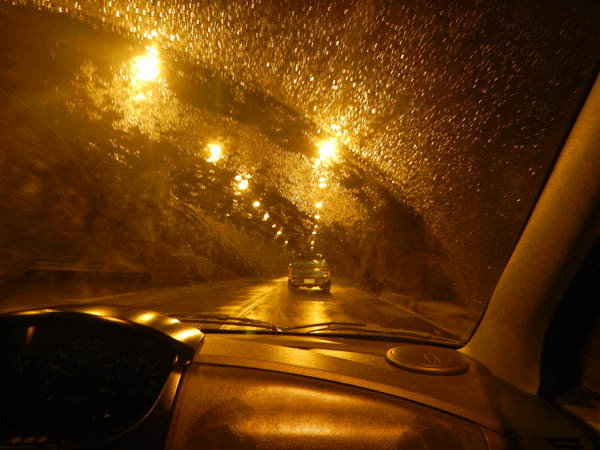 The Andes has dozens of tunnels and we think we drove through most of them. This one is a mile long. 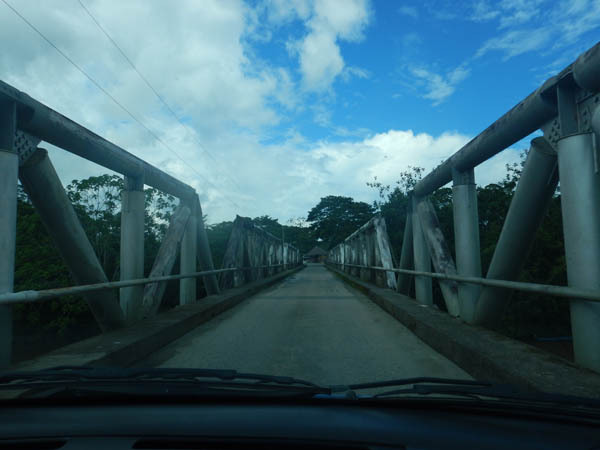 One lane bridges are common on the back road of Ecuador. 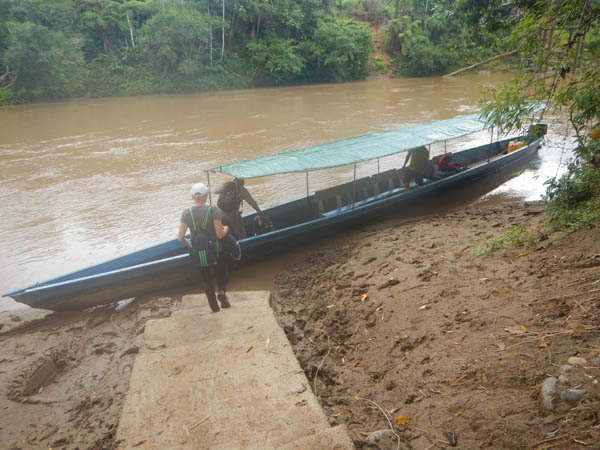 Our next adventure was in the Amazon Rainforest and this boat taxi was the beginning of the tour. All the water running off the Andes in Bolivia, Ecuador and most of Peru, Columbia and Brazil ends up in the Amazon River, making it the largest in the world. Click to view the river flowing. 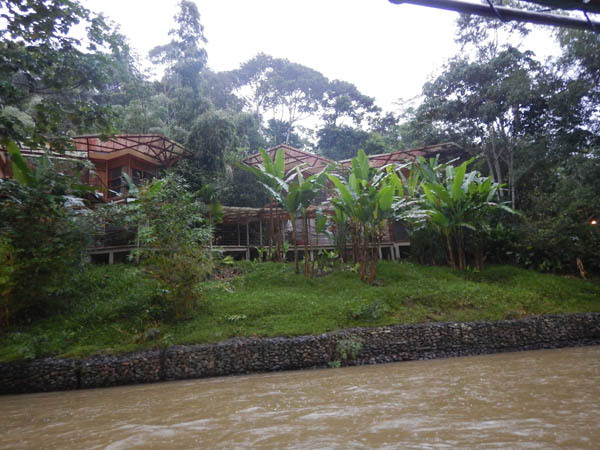 While the water was muddy, our digs for two nights in the rainforest were quite awesome. 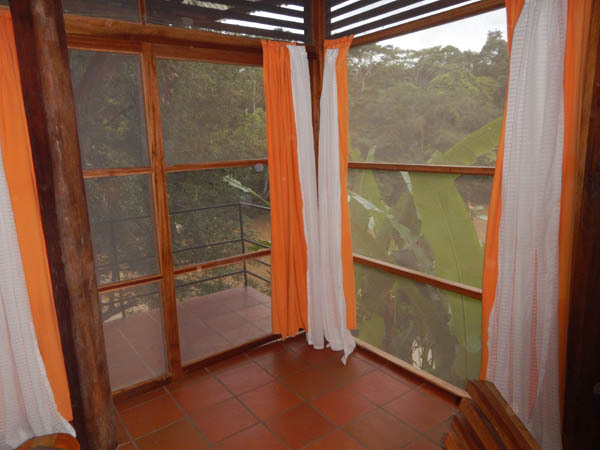 Our room was on the second floor overlooking the river. Where the windows were supposed to be, were screens. Glorine relaxing on the patio outside our bedroom. Our first outing was a night walk. 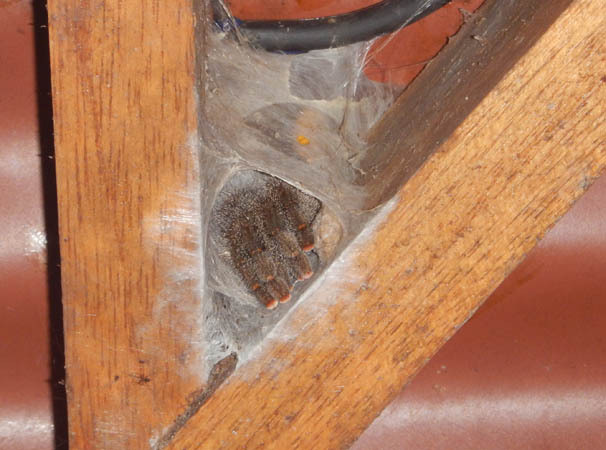 However, we did not have to leave the hotel to see this Tarantula in its nest in the dining room. 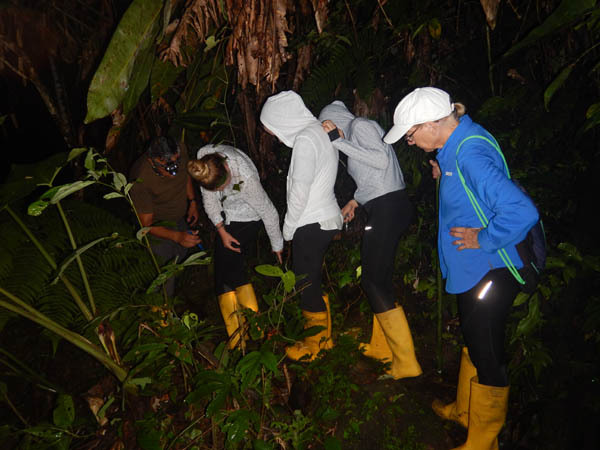 Armed with flashlights and cameras, we followed our tour guide deep in the jungle next to the hotel. 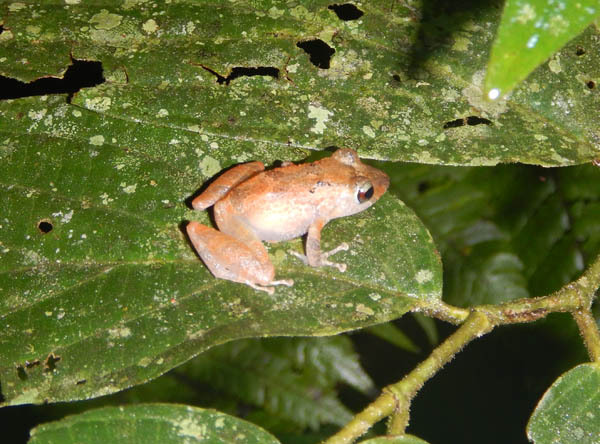 This little guy is one of 80 frog species that live in the rainforest. Spiders are all over the place. 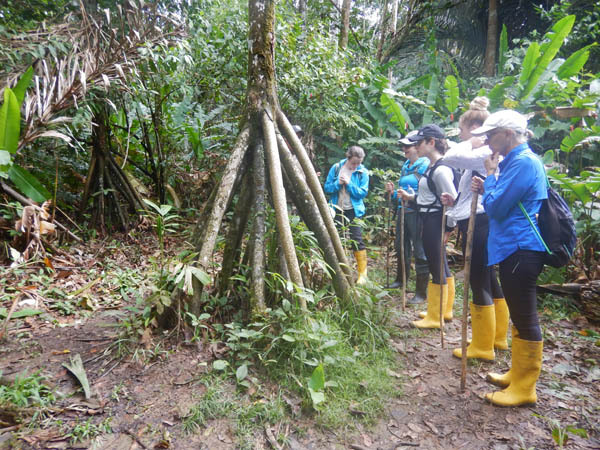 In fact, our tour guide said there are over 3,000 different species in the Amazon Rainforest. 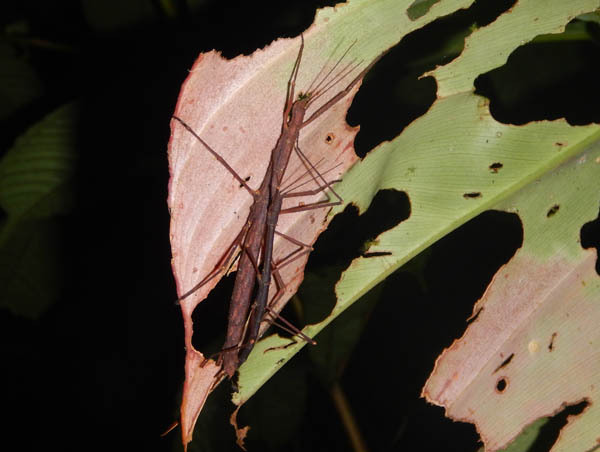 It took a while to see it, but eventually all of us on the tour got to see this stick insect. Thank goodness, they thrive on eating plants. 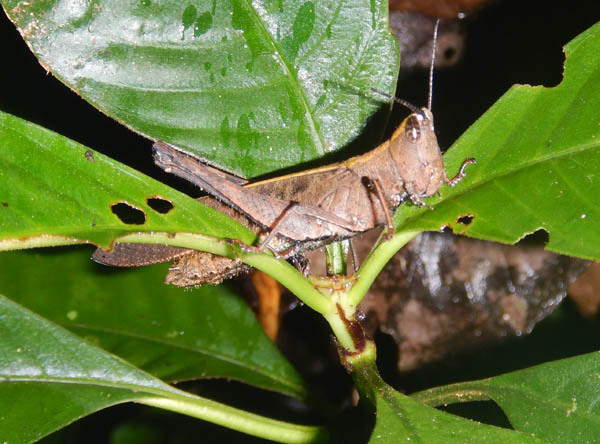 This grasshopper may look small, but it is about six inches long. 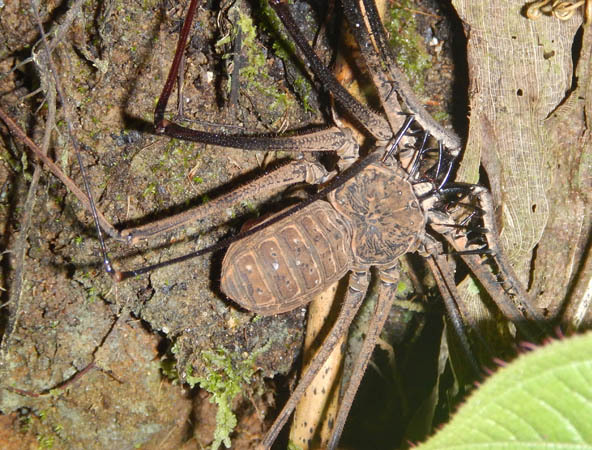 Our guide said that the Amazon Rainforest has as many as 2.5 million species of insects. 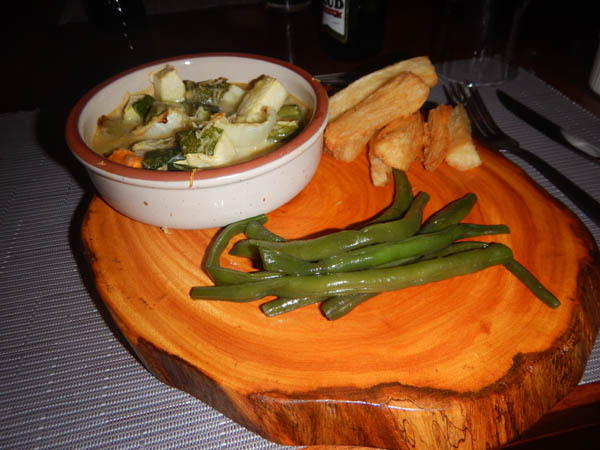 The meals at the resort were great and the presentation was awesome. 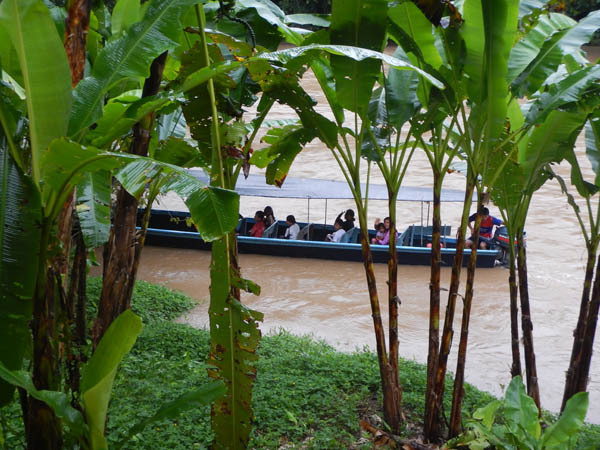 The river is the only means of transportation, which meant most of our trips started and ended on one. 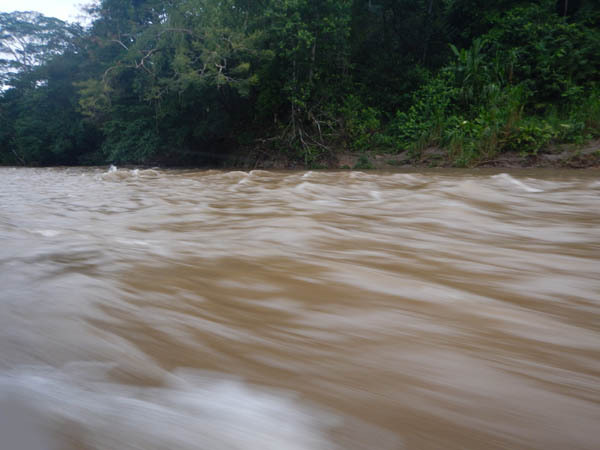 This river is shallow and considered class one rapids. 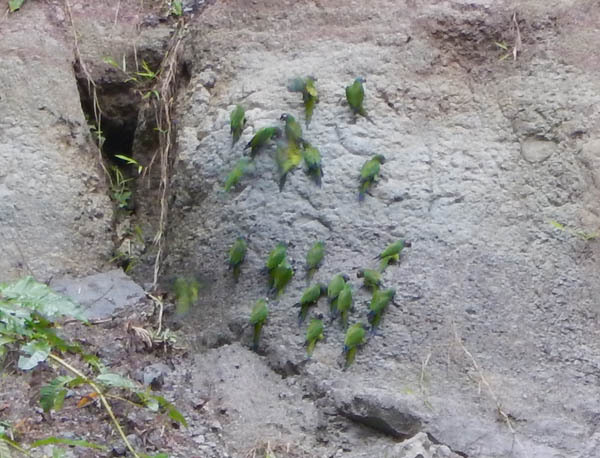 An early morning excursion got us to witness these green Parakeets getting their daily intake of minerals to help them digest their food. Click to view. 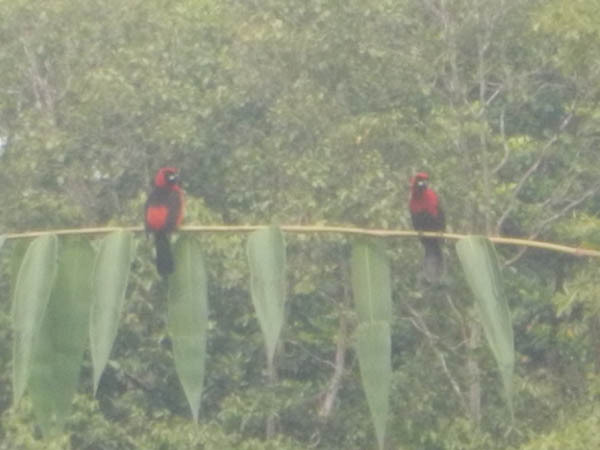 A couple of Black-necked Red Cotinga came by to stare at us one morning during breakfast. 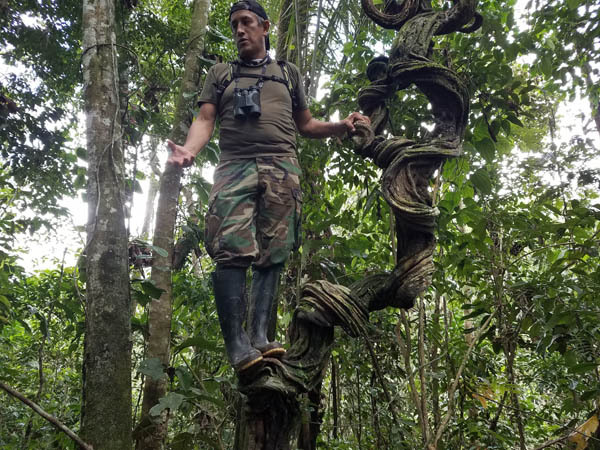 We learned that 400 billion trees belonging to 16,000 different species are home to the Amazon Rainforest, sometimes called the Lungs of the Planet. 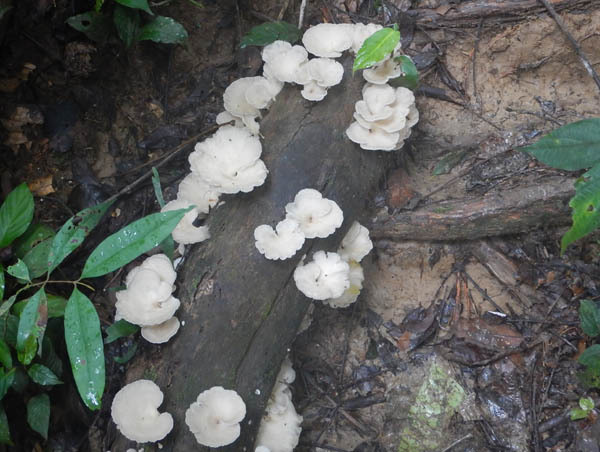 Mushroom and fungi play an important role helping all kinds of materials decompose from the Amazon floor. 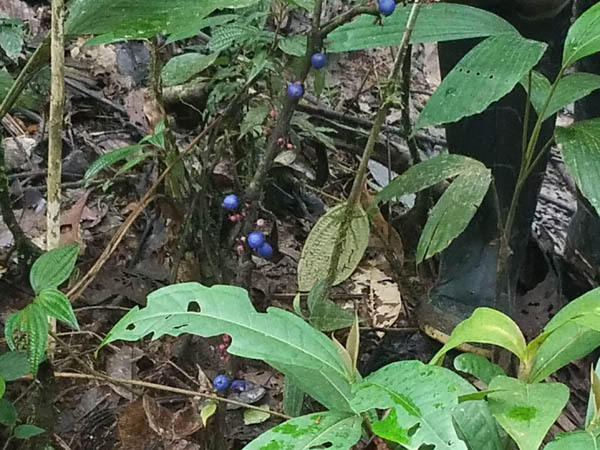 These berries are not for eating, but rather are used by local indigenous to dye clothing. 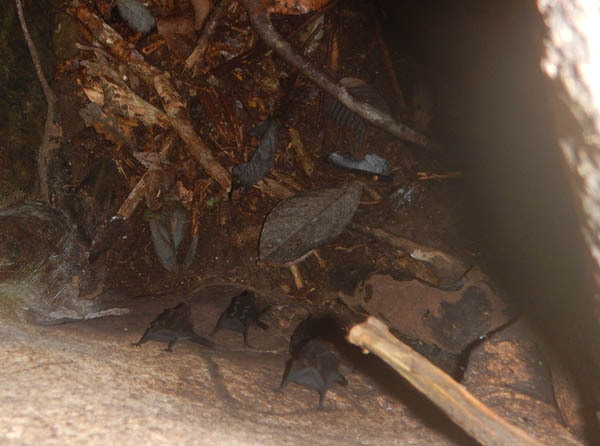 We caught these bats hiding in the bottom of a tree stump and learned they are among 160 different species found in the rainforest. The stay busy eating insects. Glorine trying her hand at being Jane, swinging on a tree vine. She ended up at the bottom of the tree, but didn't hurt herself. 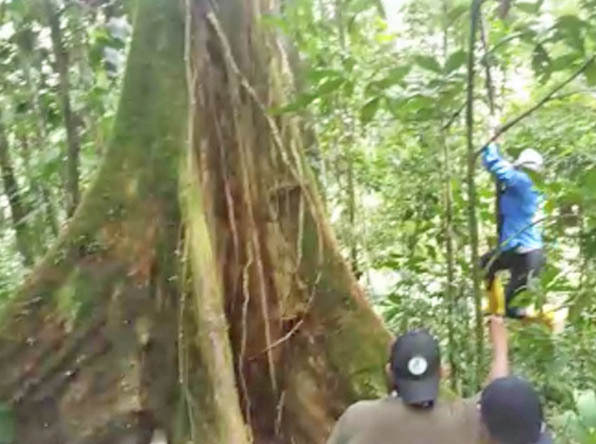 Larry (Tarzan) got his foot caught up on a bunch of smaller vine and our guide had to hold him up in the air while removing the vine. 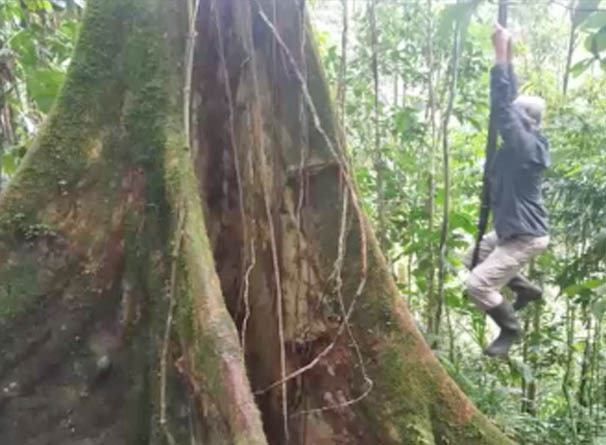 All vines are not designed to be use as swings. Our guide climbed up and stood on this one. 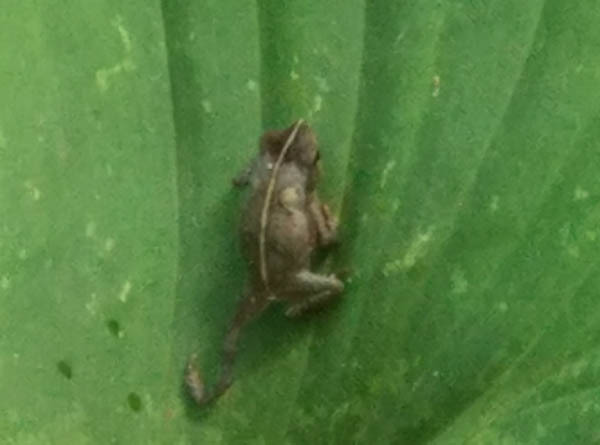 This cute little frog is smaller than a dime. Kids road to school on a school boat. 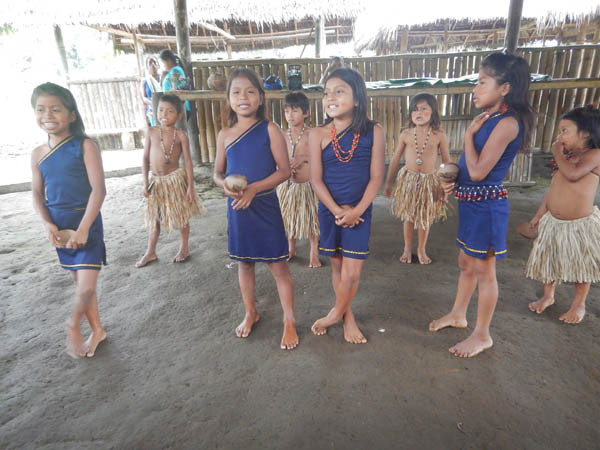 We spent a day at a local indigenous community. 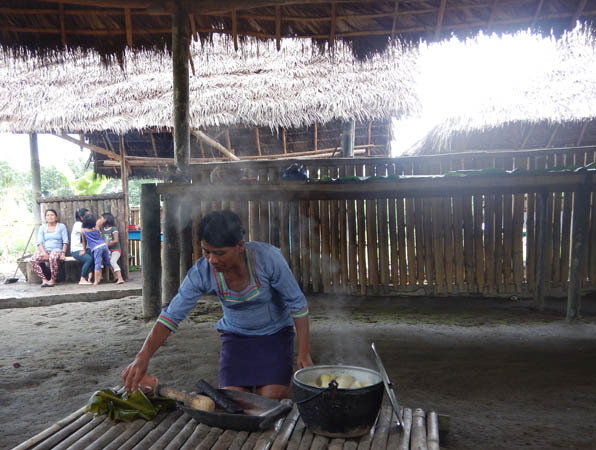 On either side of the river are 25 families that came together to welcome us and show us their way of life. 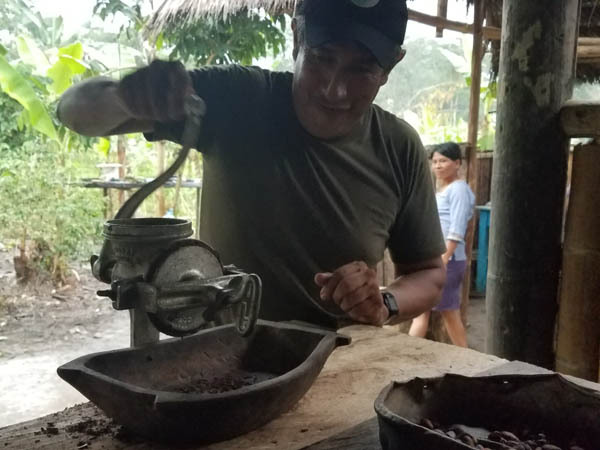 Our guide ground up some roasted cocoa beans for us to taste. Yuck! He added some sugar and it was yummy. 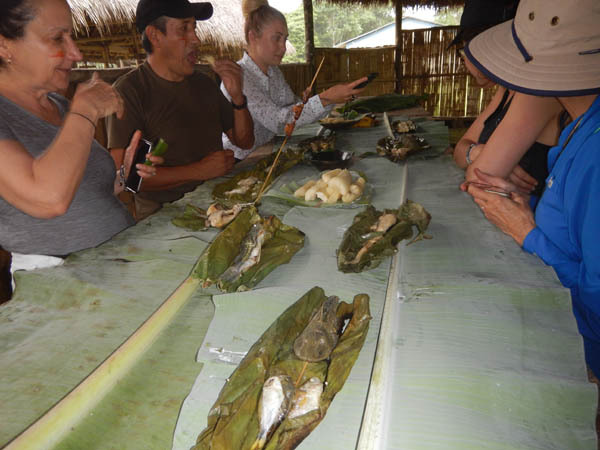 For lunch we had steamed fish, potatoes, mushrooms and grilled larva (supposedly it tastes like bacon) and bananas with chocolate. A few of the kids performed a dance for us. Click to watch the children dance. 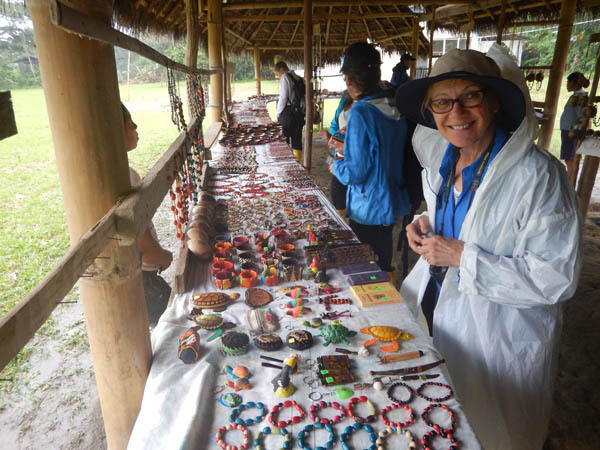 Yes, it started to rain, but it didn't stop us from shopping at their little gift shop of locally produced weavings, pottery, and chocolate. 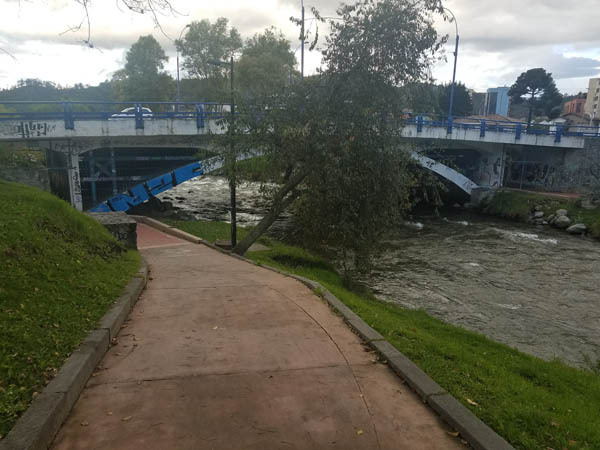 It rained through the night and the next morning the river had risen three feet higher, with floating debris and a swift current. 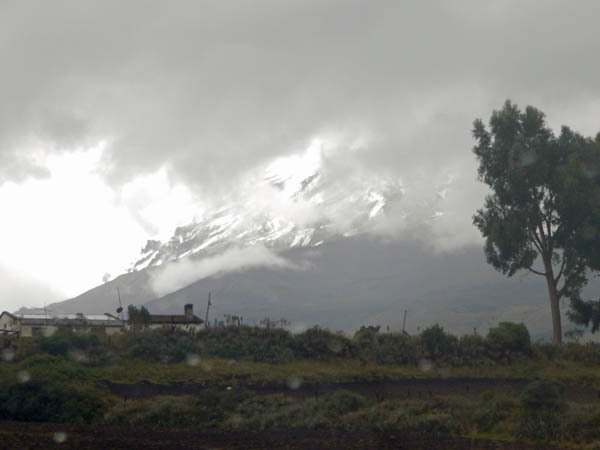 The rain continued throughout the day as we drove to Quito. Some call this the Avenue of Waterfalls and we got a chance to witness over 100 of them. 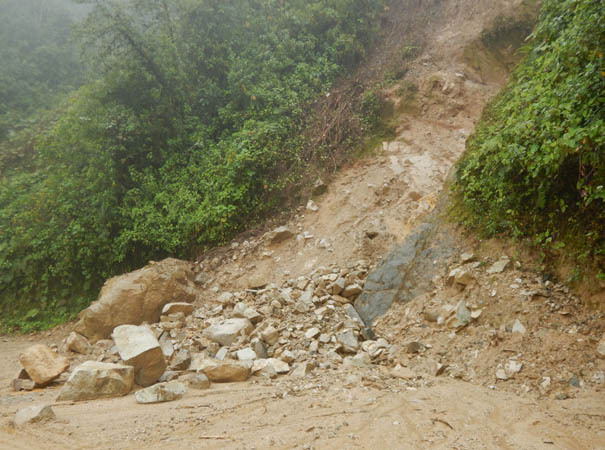 However, the down side was a couple of landslides and mud slides along the way. None of which caused us to detour from our route. 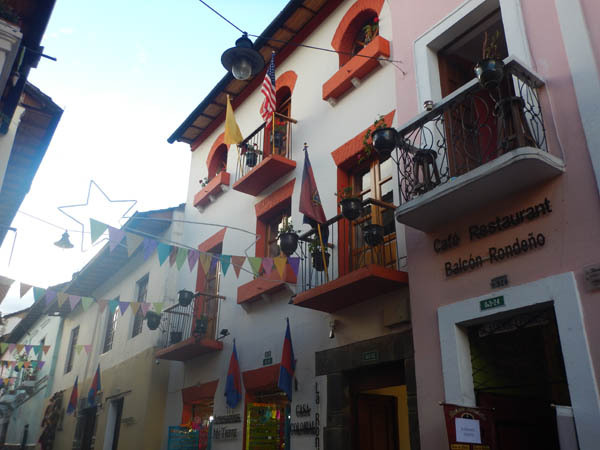 Our last hotel on our trip was this quaint two-room apartment in the La Ronda nieghborhood near the center of Quito. 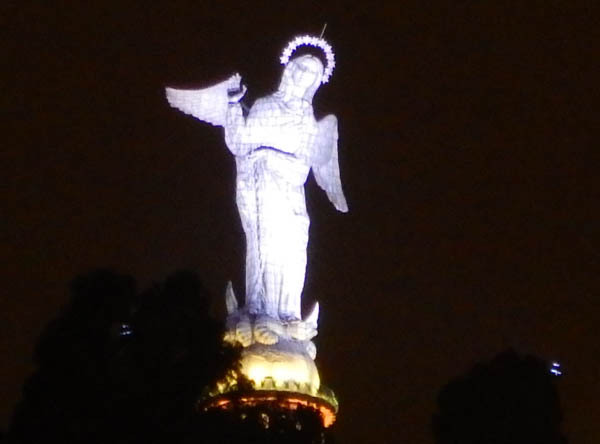 From our room, we took this picture of the Virgin of Quito high above the city and the most recognizable landmarks in Ecuador's capital. 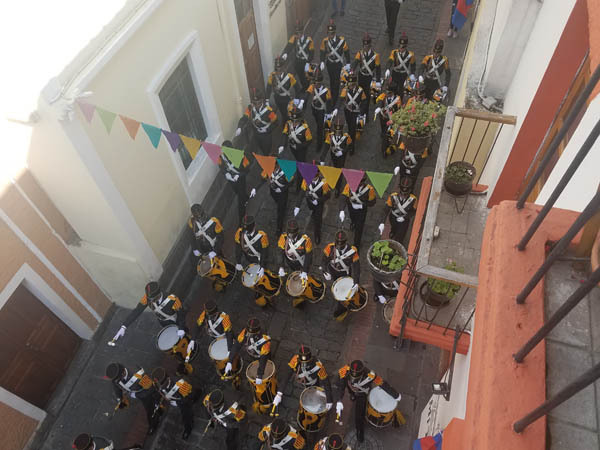 We were in Quito for a three-day holiday to celebrate "the Battle of Pichincha," which was the final battle on May 24, 1822 that liberated Ecuador from Spanish rule. 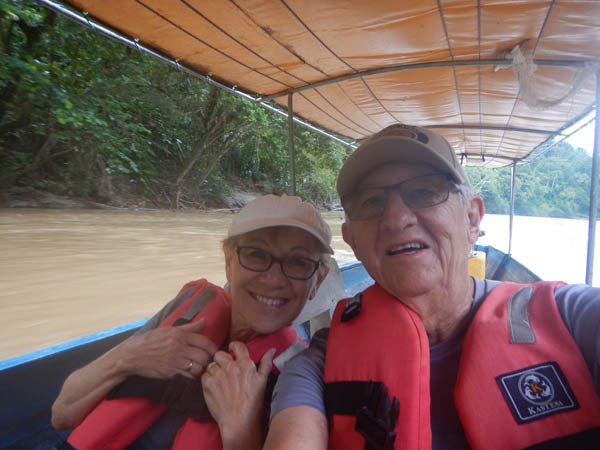 Larry's niece Jackie and husband Wooly happened to be in Ecuador at the same time as we were. They joined us for lunch and a tour of the city center. At 460 feet high, the Basilica of the National Vow towers over the city center. The church and tax payers helped build it in the late 1800s. 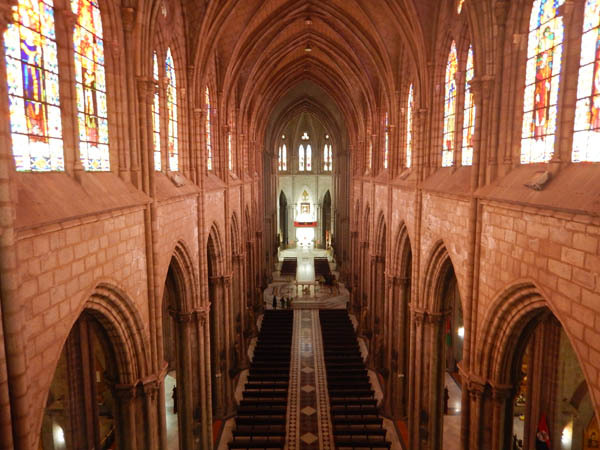 The interior is not very spectacular as the exterior, in fact is was rather blah in comparison to most other cathedrals and basilicas were toured in SA. 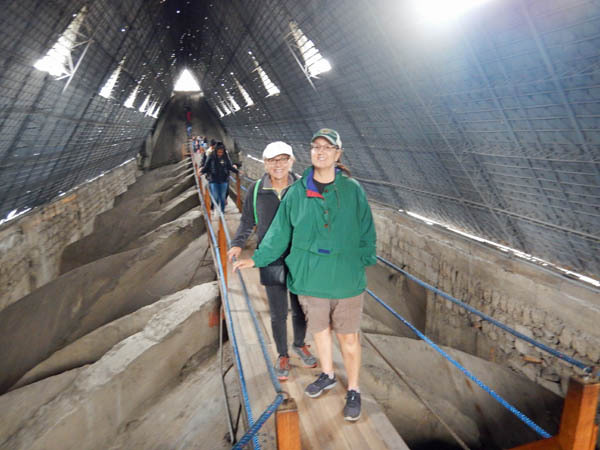 What fascinated us about this church was the access to the very top of the church. Here Glorine and Jackie are on a catwalk atop the churches arches. 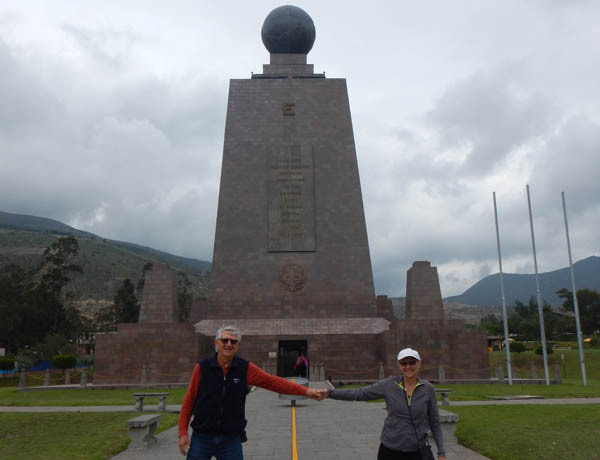 On the way to the airport we stopped at the Middle of the World monument located near Quito where we got to stand on the equator--Glorine in the Northern Hemisphere and Larry in the South. Awesome!! From the top of the tower, we could see the line heading east and ending in a tiny Catholic chapel. 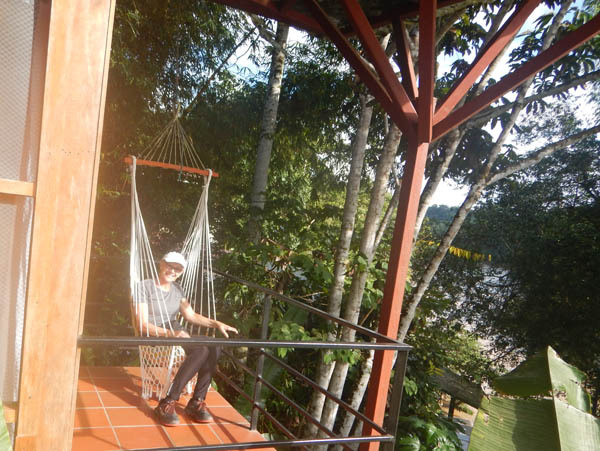 We ended our amazing South American adventure two days shy of ten weeks. 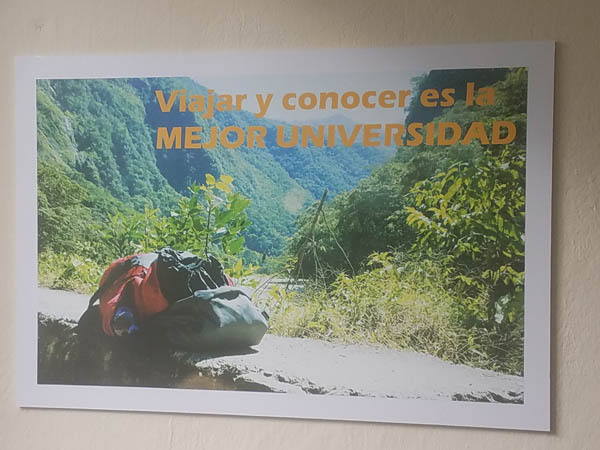 One picture hanging in a hotel we stayed at said it all "Traveling and knowing is the best University." 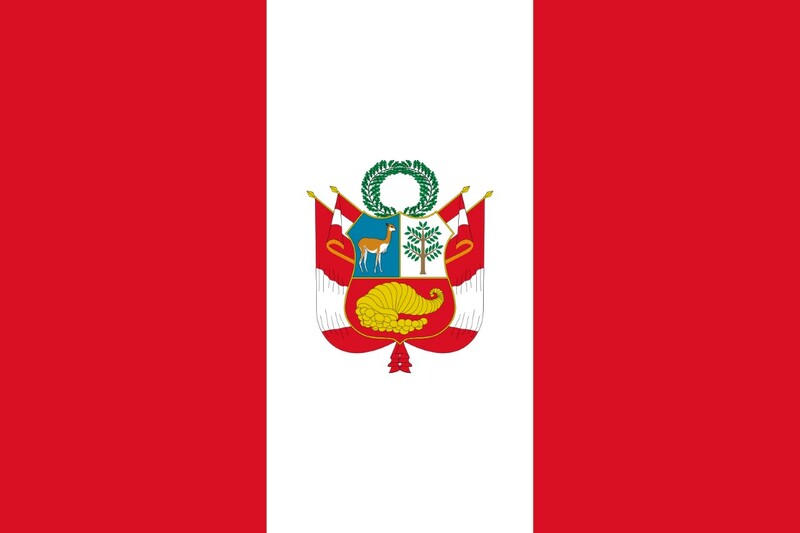 Ecuador's web page includes May 12 through May 27.